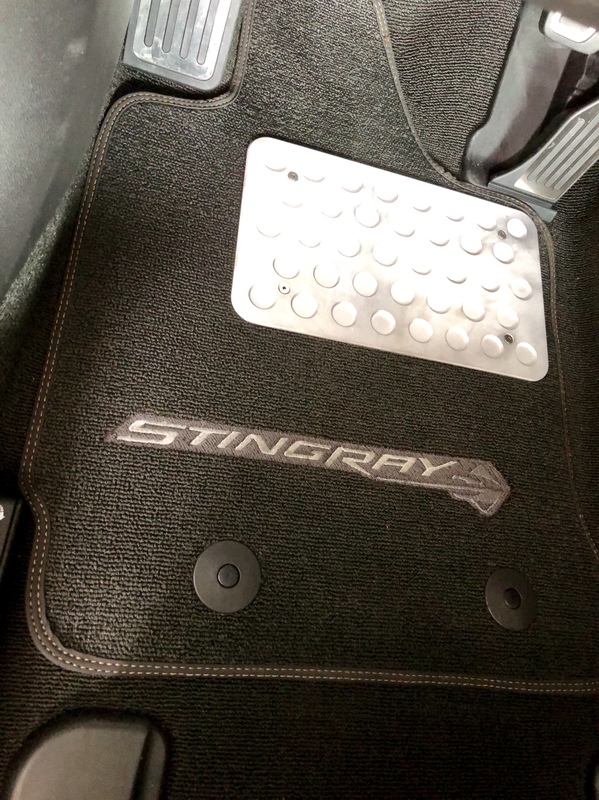 For all you M7 guys, here is a very OEM-looking accessory that addresses the carpet wear areas below the clutch and accelerator petals. It can be attached using hook Velcro, without having to burn mounting holes in the mat, which is a PITA. TNSQUIRE and Ozonewanderer like this. I bought something similar and attached as you said. Works great. Looks good. Is it metal? 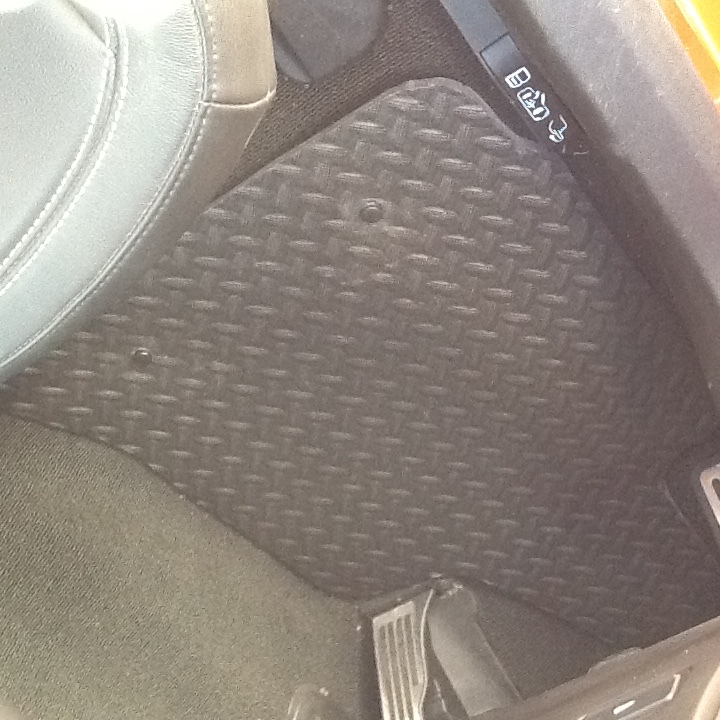 After I started to wear the carpet near the accelerator pedal, from driving in dress shoes, I googled "floor mat heel pads" or something like that, and found several makers of thin rubbery pads. I got one and glued it to the top of the carpet where the wear was. Still working well. Not a fan of the OEM Factory Carpets, I went with the "Industrial Look" and fabricated "Diamond Plater Closed Cell Foam Mats". Easy to make (about ten minutes each" they can be quickly installed and removed without much ado! What a great idea! Please share with us where you bought them and the cost. Thanks! Came from Custom Corvette Accessories under Performance Petals. Aluminum billet with stainless steel hardware: $99. 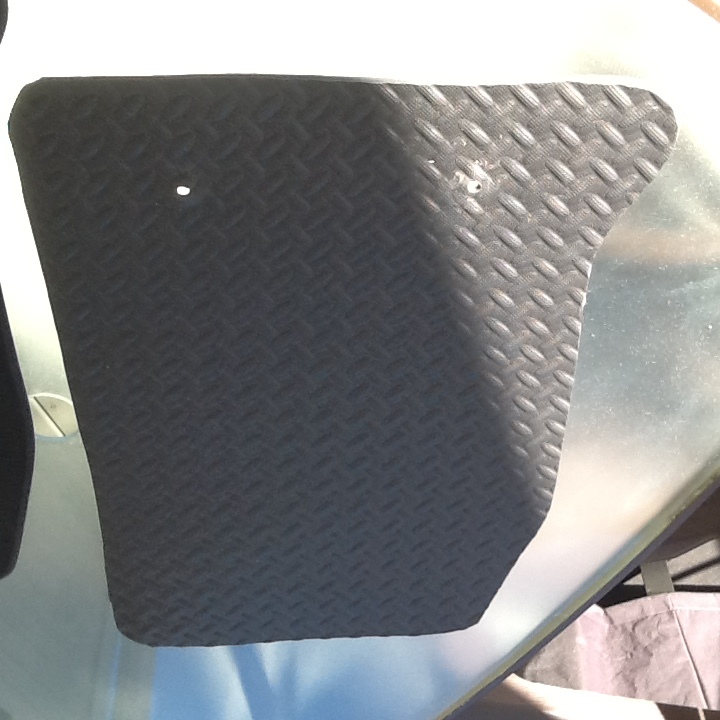 If you’re putting it on the stock GM mats, you can attach it securely with loop Velcro and don’t have to drill holes in the carpet, which is a giant PITA. I had some trouble with my clutch foot heel hanging up on the circular depressions. After talking with Chip, he sent me another one (at no cost) with the grid finish and that really helped.